With just 16 days until my due date, I am starting to panic slightly. Those freezer meals? Still not done. However, at this point I am just ready to have the baby...fully stocked freezer or not! There just don't ever seem to be quite enough hours in the day. With that thought, I wanted to share three of my favorite products that are truly lifesavers when it comes to getting out the door halfway presentable in just those few precious minutes I have to get ready each day. About a year ago I made the switch from salon shampoo to just regular old grocery store stuff...partly because I was in the dreaded postpartum hair loss phase so it didn't really matter what shampoo I was using, but mostly because of the cost. It was just getting far too expensive! But in the past several months I noticed that my hair was just blah...it stopped shedding thanks to the new pregnancy, but it still looked so thin and flat. I was convinced I was losing my hair/going bald because of how thin and fine it had gotten. My husband suggested I switch shampoo, but I just didn't want to fork over $24 for a Trent-sized bottle at the salon. 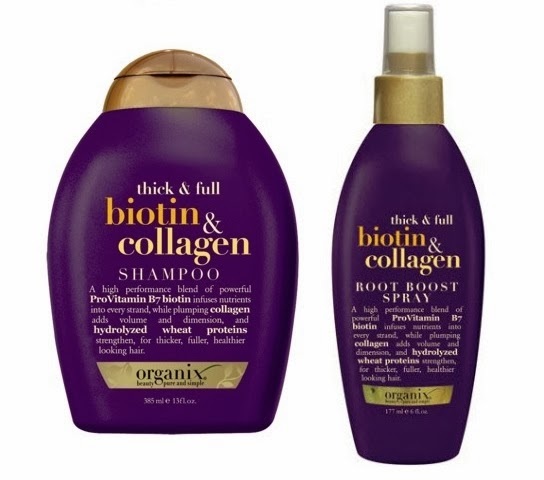 On one of my many Target runs, this Organix Thick & Full shampoo caught my eye, and at less than $6, I decided to give it a shot. It at least looked expensive, so it must be good, right?! Kid you not, after ONE wash and dry, my hair looked AMAZING. It was so much fuller, thicker, bouncier and just all around better. I went back for the conditioner and root boosting spray (which is on clearance right now - stock up! ), and that next day was probably the best hair day of my life. Try these..you won't regret it! Ok, this dryer blows my mind. No pun intended. Or maybe it was. 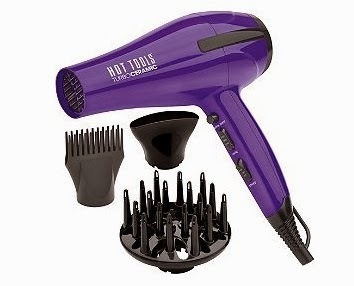 Anyway...I had a similar ceramic/ionic hair dryer and was spending 30+ minutes drying my hair each time....which is why I was only drying my hair about once a month. Seriously. It was ridiculous how long it was taking. It was another one of my husband's suggestions, believe it or not, to check out a new dryer and that maybe that was the problem. I thought it was just that my hair had gotten so long and hair products were making it take longer to dry perhaps..but, nope, he was right. This Hot Tools dryer was on sale at Ulta, plus we had a coupon and a few other discounts, so we ended up getting it for a great price. I was definitely not sold on buying "the cheap option," but the first time I used it I think I texted everyone I knew and told them they HAD to get one. Then I told Matt we had to go buy several more immediately to save. He was not on board with that, but whatever. The point is, it is AMAZING. It cut my dry time down from 30+ minutes to less than 10. LESS THAN 10 MINUTES! I can now dry my hair, curl my hair, put on makeup and be out the door in the same amount of time or less than I was spending just to dry before. The dryer is so powerful yet so quiet...even Trent is not bothered by it. Just can't say enough good things about it. I don't know how it does it, but it works miracles. Back in pre-baby days, I used to be able to apply makeup just minutes before heading out the door for something. Because I work from home, I didn't have to apply first thing in the morning...so if I had a dinner or some other function to go to in the evening, I was always able to have a fresh face of makeup just in time. It was definitely a luxury that I took for granted... Nowadays, the few days I actually even WEAR makeup...the makeup has to last ALL day (and maybe even the next day..), regardless of when I "need" it. Hope everyone is enjoying their Monday! 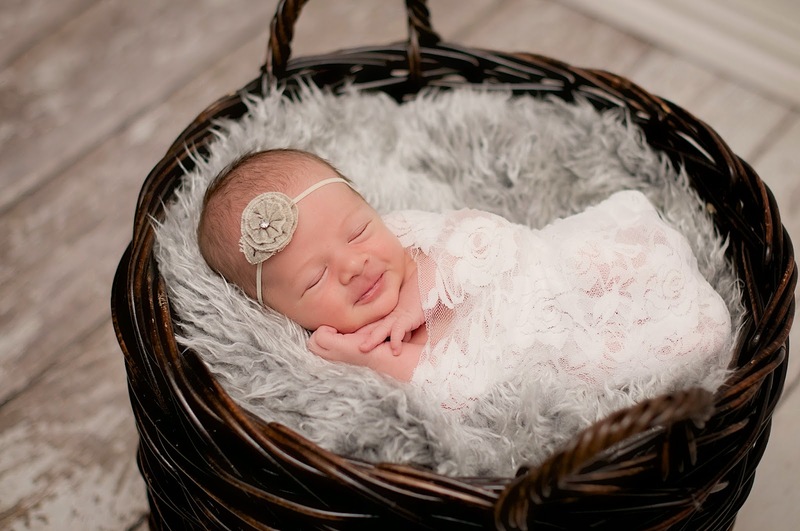 Send labor vibes this way, pleeease!